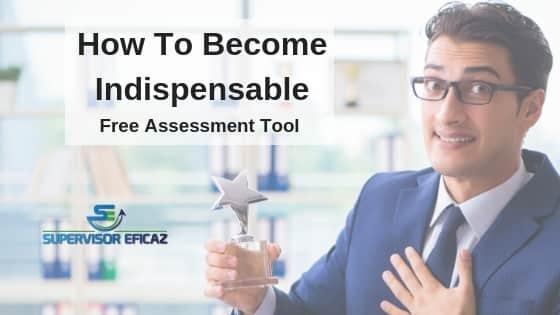 One of the tools I used in my training sessions is called “How indispensable I am for the company?” and now I want to share it with you. I hope it will be useful for you personally and your company. I agree with this statement. But also, I believe that some people can become “almost indispensable” for the company or for someone else, from their perspective in that moment. This means that if their actions, knowledge and attitudes are excellent, it will be very difficult for someone to replace that person, it will be very difficult for them to want that person to leave, which makes that person become almost indispensable for the company, or their partner or their children. An example can be that person who manages a program or a machine very well and nobody else in the company can do it better. This makes this individual indispensable until another person appears that handles the program equally well, but perhaps has a better attitude and disposition than the first person, to whom they were putting up with their bad attitude because they did not have anyone else that could handle that program or machine. But for a person to become truly indispensable for someone, they must ALWAYS maintain excellent actions, update and increase their knowledge and act with positive attitudes, all the time. Many of the owners and directors of the companies have told me that they like this tool, which is simple, but it has helped them realize what each of their employees looks like, and how well they do the job. All this helps them clarify and define an action plan to improve and develop that employee in areas that lack knowledge or experience. Another comment from the directors is that in some cases, their employees look themselves better than their manager, or believe that they are doing well what their supervisors expect from them. And sometimes, this is the reason why employees have not tried to improve. 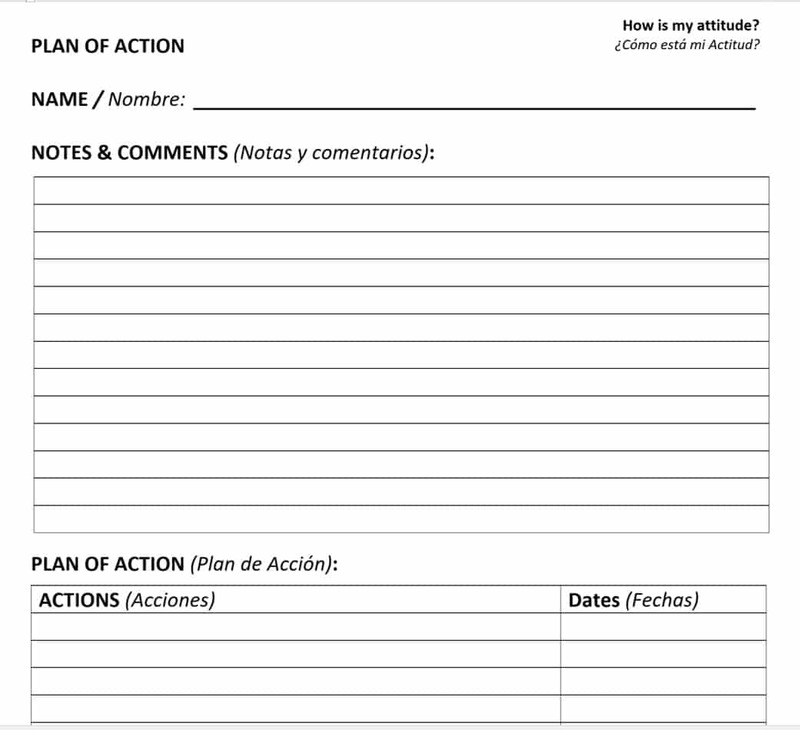 Before continuing on this tool, download and print the evaluation so that you follow my instructions. In this tool, I use the scale from zero to 100%. Ideally, we should all be close to 100% in all areas, which makes it very difficult to replace us, and we will be considered indispensable. To begin with, this tool is divided into two parts. The first page already contains some characteristics, actions, competencies and general skills, which apply almost to any job and position. 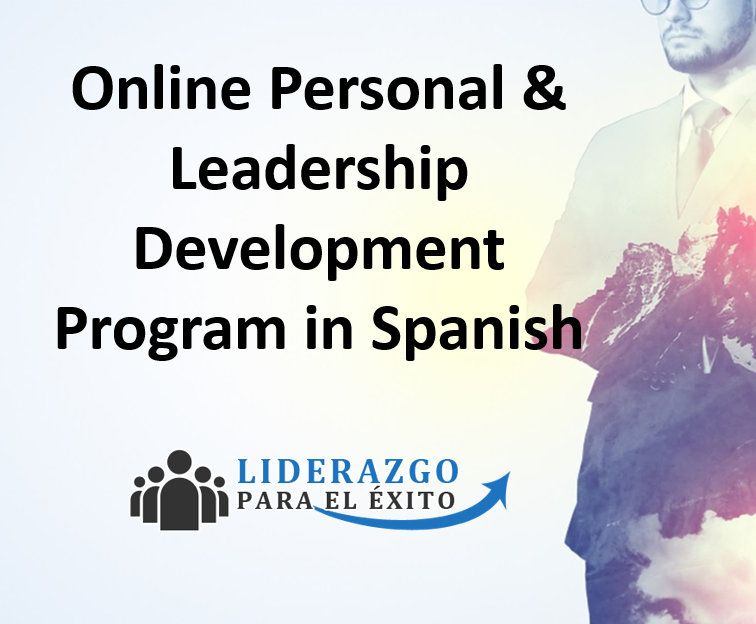 In the second page, you and the person to be evaluated should determine and write down other actions, skills and specific knowledge required for that job or functions that person should be doing. They depend on each industry, title and, above all, the responsibilities of the person to be evaluated. For example, let’s assume that it is the supervisor who is in a manufacturing area and must report daily to his boss, the plant manager, various aspects of production, maintenance, waste, changes occurred during the day, etc. and for that, he has to make a complete and well-detailed report. Then this would be the concept to add in the second part of the evaluation. We are going to say that another second point included is that evaluator should meet with his team each week to train his employees. And then, they will include other specific points of their jobs. An additional benefit of working on the second sheet is that it helps determine and clarify some responsibilities that were not defined or were not clear to the employee, which meant that he or she did not perform them 100% well or did not consider them important. It could also help to define if some activities the employee considered important and necessary in their work, are not relatively the same for their supervisor. The supervisor can then delegate to another person or simply ask him not to perform them anymore. 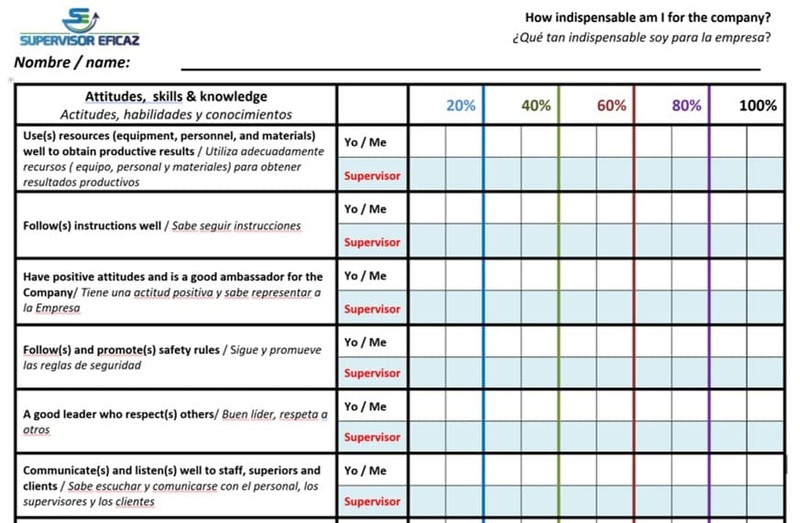 Once they have agreed on these extra points, that will be included in the second page, both the employee and his supervisor/manager will fill the evaluation in DIFFERENT SHEETS from their own point of view. The employee will self-evaluate, and the manager/ supervisor will evaluate his employee. Each one must fill the percentages, in the line that corresponds, according to their own perception. Once they have completed the two evaluations, they should get together to compare the results and talk about the differences. Then, determine an action plan to continue strengthening the strong points, and on the other hand to work those areas that need improvement. This action plan should also have follow-up dates to revisit the progress and hopefully see an improvement of the employee, and thus bring it closer to becoming indispensable. For example, in the second line of the assessment where we talk about “knowing how to follow instructions properly”, some employee might think that he does it 80% of the time. While the supervisor considers that the employee only does it well 60% of the time. I hope this tool is useful for your own development and that of your employees. Here I have shared one of many uses of this tool, but when used in a comprehensive way, it can be applied to many areas of the company and in many ways. How essential are you to your customers? How essential are you to your employees?